When I was younger, I never would’ve described myself as Type A. I was a go-with-the-flow gal who loved last-minute plans and unstructured adventures. I’ve never been a rule follower, and it has definitely got me in a fair amount of trouble along the way. Since becoming a parent though, I’ve had to embrace my inner Type A. 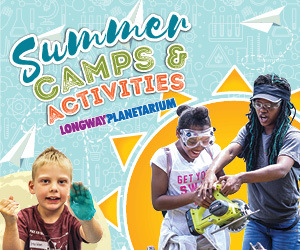 Because let’s face it — the science that kids thrive with routine and structure? It’s real. After many years of feeling like I was strictly moving around putting out fires for my young kids, I’ve finally found my stride. 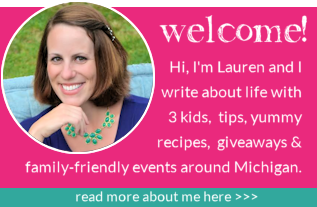 It’s true: Parenting doesn’t get easier as you go, but you *do* get better at it. Now, I know what I *must* accomplish on a daily basis to feel sane. These are few of the things that work well in our house. Perhaps they will work with you too! A master calendar. 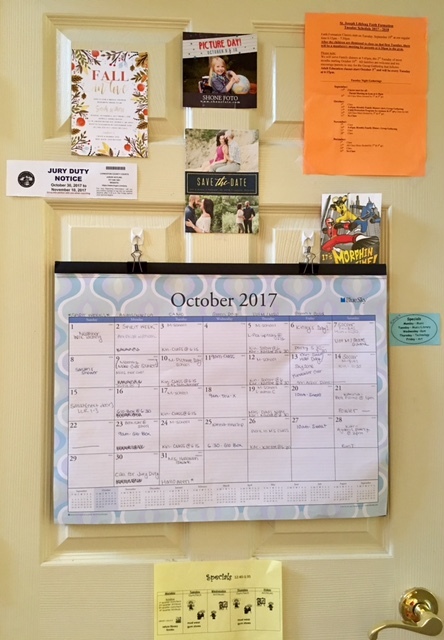 We are the crazy family that has a shared Google calendar between the hubby and I and a master wall calendar so the kids can follow along. I consult this thing daily and tape invites, important school papers and the girls’ specials schedule around it as reminders. I just have ours hanging on command hooks on the back of our basement door. Doesn’t look the prettiest, but SO full of function! A place for shoes. Being a family of five, our mud room closet is packed with coats, hats, bags, and shoes. 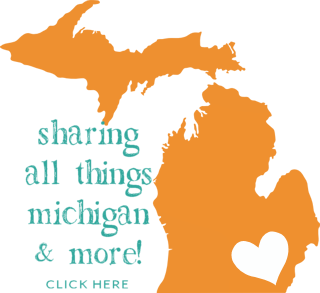 I’ve tried rotating items out seasonally, but find it’s just a pain with unpredictable Michigan weather. 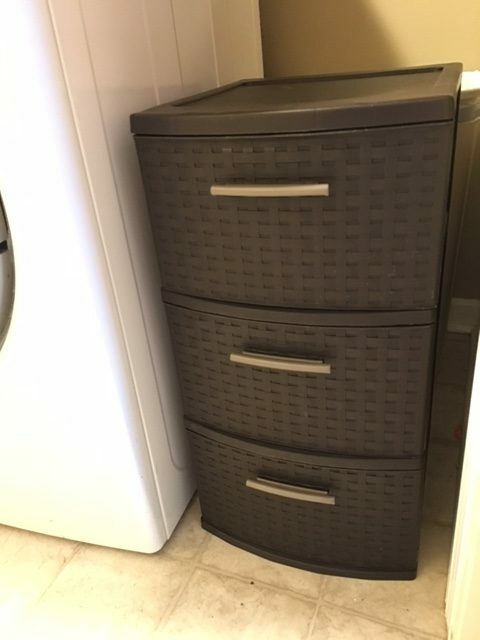 So, I grabbed some three-bin drawers and set one up for each child to hold one pair of school shoes and one pair of slip-on shoes. I’m not saying they always place their shoes in there at the end of the night, but I try to make sure they are in there before heading to bed. No more running around looking for lost shoes before the bus comes! A morning routine board. This is a savior for my gal that needs structure. 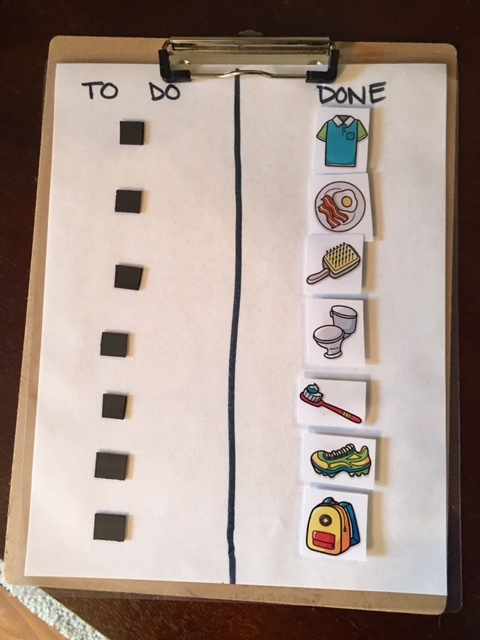 She knows what is expected of her each morning, and when she gets distracted, I can easily send her to her board to see what else she needs to do before she gets to enjoy a few minutes of downtime. Prepacked goods. I’d love to say I slice and dice and prepare freeze dried fruit for snacks each week, but I don’t. 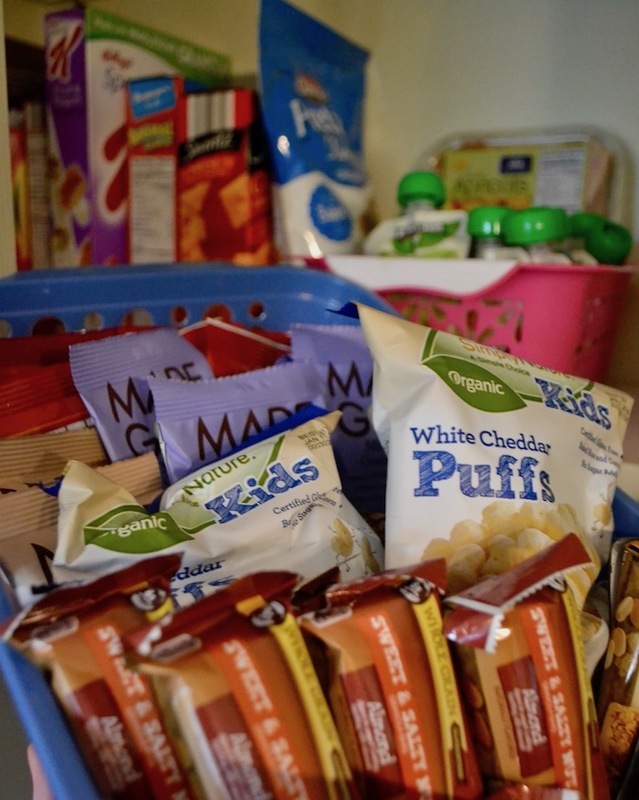 Time is precious, so paying a premium on certain pre-packaged foods is worth it. My favorite is apples, which just need to be washed and pre-sliced fruit and veggies from the produce aisle I can just pop in a container. Outfits prepped for the week. On Sunday nights, while the kids are bathing, I spend some time checking my weather app to see the temps for the week and plan outfits accordingly. 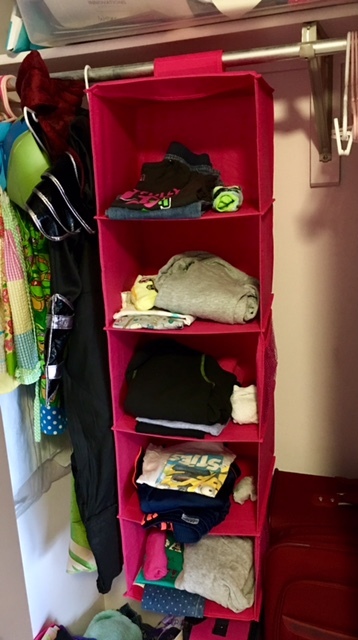 I place items in a 5 row organizer so I can easily grab it and give it to my kids to get dressed in the morning. I’m realistic with what I put in there, too. I don’t make my kids wear things they won’t find comfortable running in at school — period. As long as they are somewhat put together and match, I’m happy. Have an “important” documents file or drawer. 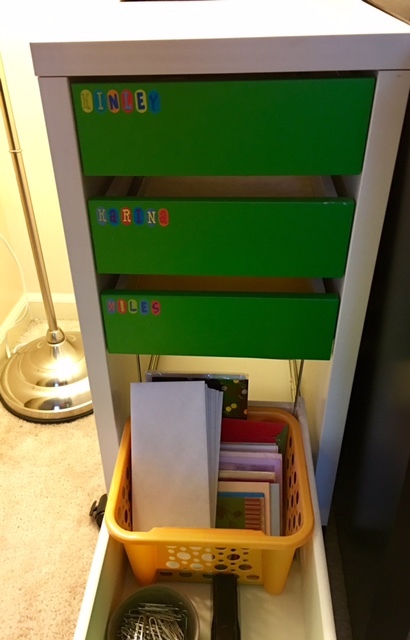 I use an IKEA filing cabinet for each of my kids’ important papers such as approved snack lists, teacher contact information, schedule for the year, etc. That way I always know where the items are when I need them. In the bottom drawer, I keep blank notecards for teacher notes, envelopes for field trip/lunch money and other supplies I may need to send into school. Are these tips going to solve your morning drama? Maybe not. But anything that has the possibility to quell at least some of it is a win for our family 😉 Hope you all are having a great school year! 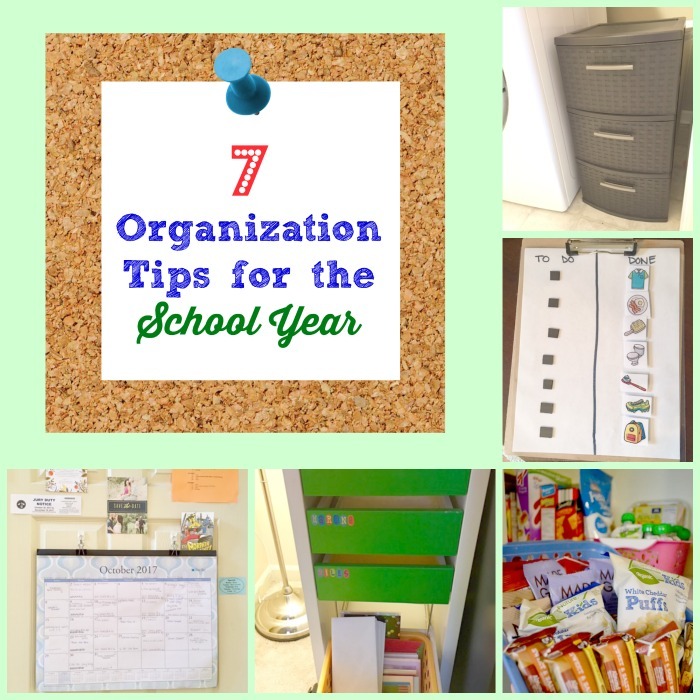 What are your favorite tips for school organization? I love trying new ideas! We have many of the same systems in place! I’m going to use your shoe idea! !